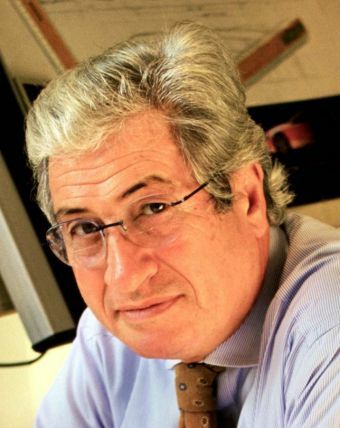 Giorgetto Giugiaro was born on 1938 in Garessio (Cuneo), north west Italy his father was a painter and his grandfather was a church painter. After moving to turin, Giorgetto switched between art, and technical design. At 17, he started working at the 'Fiat' styling center, however, finding it impossible, in a large organisation such as 'fiat', to grow rapidly, he took a giant step and, in December 1959, became head of the 'Bertone' styling centre, after six highly intense years, in 1965, he left to join the management of 'Ghia', another firm of coachbuilders. In February 1967, Giugiaro founded his first company, 'Ital styling', where he continued to work with 'Ghia' on a freelance basis but where he also prepared to take a leap into the unknown. he would invest his professional and financial capital in a global challenge, a professional services company for the motor industry and Italdesign was born. Under the ITALDESIGN-GIUGIARO trademark Giugiaro has officially styled over100 cars then mass-produced, besides developing many others under wraps for the world's top manufacturers. 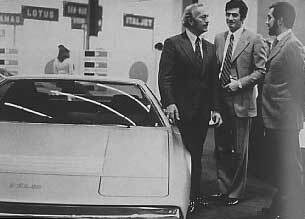 Giugiaro-designed production cars include Maserati Bora, Merak, Quattroporte and 3200 GT (1971-1976), A.R. Alfasud, Alfetta GT/GTV and Alfasud Sprint (1971-1976), Lotus Esprit (1972), Hyundai Pony, Stellar, Pony Excel, Presto and Sonata (1974- 1988), Audi 80 4000 (1978), BMW M1 (1978), De Lorean DMC 12 (1981), Isuzu Piazza, Gemini- Spectrum and Gemini (1981-1984), Saab 9000 Turbo 16 (1984), Seat Ibiza, first and second series (1984/1993), Malaga, Toledo first and second series (1991 – 1998), Cordoba and Cordoba coupe (1985-1995), Renault 21 and 19 (1986/1988), Chrysler Eagle Premier (1987), ZCZ Florida (1988), Subaru SVX (1991), Lexus GS 300 (1993); Daewoo Lanos notchback and hatchback (1996 – 1997) Leganza (1997), Matiz (1998) and Daihatsu Move (1998). He also designed Volkswagen's new-look cars for the 70s: Passat (1973), Scirocco (1974) and Golf (1974). Collaboration with Fiat Group, which began in 1975, led to the creation of the new Lancia range - Delta ("Car of the Year 1980"), Prisma and Thema (1982/1984) -, the Fiat Panda ("Golden Compasses '81"), the Uno ("Car of the Year 1984"), the Croma (1985), the Punto ("Car of the Year 1995") the Punto convertible (1993) and the restyling of the new Palio family (Palio, Palio weekend and Siena – 2000). Among Giugiaro's advanced research prototypes there are Bizzarrini Manta (1968), Suzuki Microutilitaria (1969), Alfa Romeo Iguana (1969), Abarth 1600 (1969), Volkswagen-Porsche Tapiro (1970), Volkswagen Karmann Cheetah (1971), Alfa Romeo Caimano (1971), Maserati Boomerang (1972), Audi Karmann Asso di Picche (1973), Hyundai Pony Coupé (1974), Maserati 2+2 Coupé (1974), Medici I (1974), Alfa Romeo New York Taxi (1976), Medici II (1976), BMW Karmann Asso di Quadri (1976), Lancia Megagamma (1978), M8 (1978), Isuzu Asso di Fiori (1979), Lancia Medusa (1980), Fiat Panda 4x4 offroader (1980), Fiat Panda 4x4 Strip (1980), Lancia Orca (1982), Capsula (1982), Lamborghini Marco Polo (1982), Renault Gabbiano (1983), Lotus Etna (1984), Marlin (1984), Together (1984), Ford Maya (1984), Machimoto (1986), Orbit (1986), Oldsmobile Incas (1986), Aztec (1988), Aspid (1988), Asgard (1988), Seat Proto T (1989), Seat Proto TL (1990), Jaguar Kensington (1990), Bugatti ID 90 (1990), Seat Proto C (1990), Nazca M12 (1991), Nazca C2 (1991), Columbus (1992), Biga 1993), ID Cinquecento (1992), Bugatti EB 112 (1993), Nazca C2 Spider (1993), Cinquecento Lucciola (1993), Lexus Landau (1994), Firepoint (1994), Daewoo Bucrane (1994), Lamborghini Calà (1995), Formula 4 (1996), Formula Hammer (1996), Legram (1996), Alfa Romeo Scighera (1997), Alfa Romeo Scighera GT (1997), Volkswagen W12 Syncro e Roadster (1997/1998), Structura 81998), Bugatti EB118 (1998), Bugatti EB218 (1999), Bugatti 18/3 Chiron (1999), Maserati Buran (1999), Touareg (2000) and the two virtual prototypes Tiny e Suv (2000).